After Appliance Almond, I’d have to say Orange is my favorite color for an OTS. 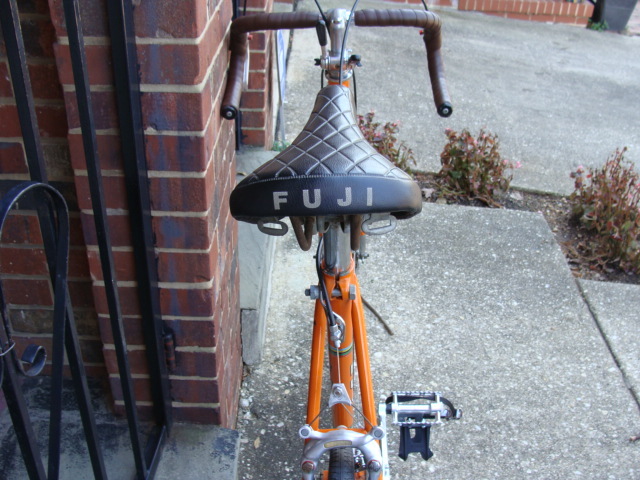 Here is Ben R’s nicely preserved ’75 Fuji Special Tourer. This is a 1975 Fuji Special Tourer. 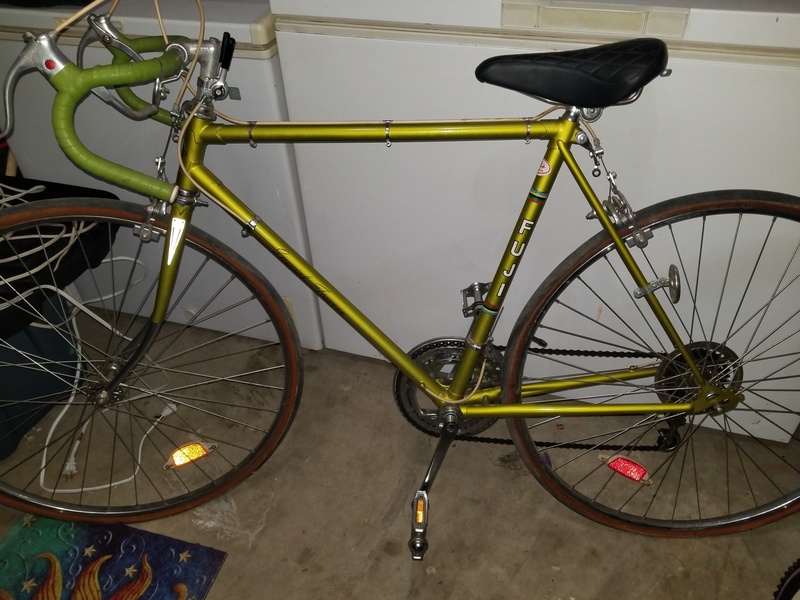 The bike was purchased new in 1975 in Delaware by some woman whose son sold me the bike several months ago. When I bought it, the saddle was probably the only thing not caked with grease (you know how chalky it gets when it’s old). I’ve spent spent the past month and a lot of steel wool restoring the bike back to [relatively] original condition. 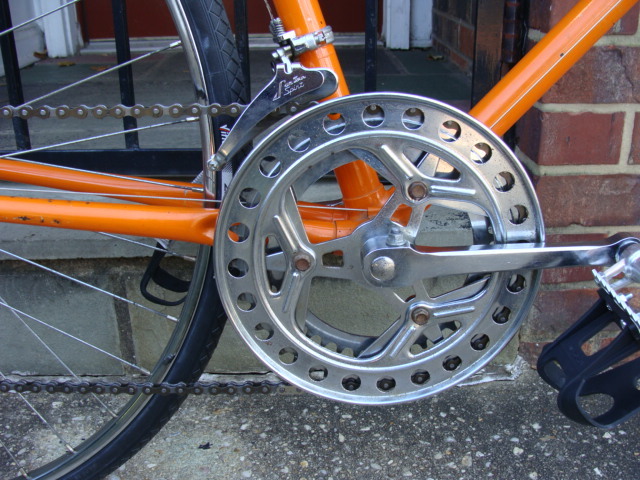 The front and rear derailleurs, brakes, and hubs have been taken apart, cleaned, greased, and reassembled. The dummy disk is original too! 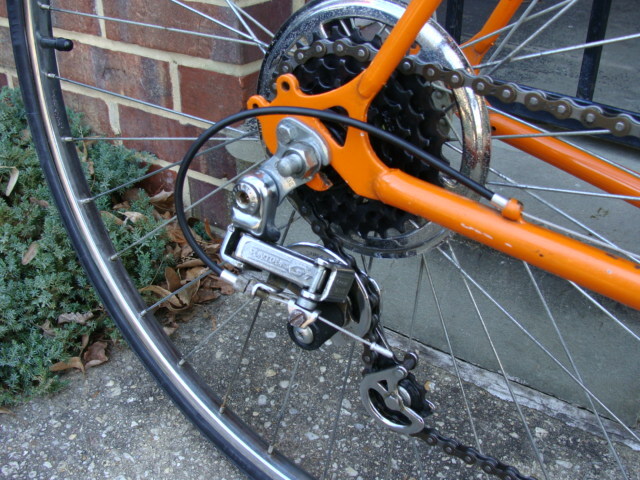 The cables/housing, tires, chain, and rear cassette are the only non-original parts. That’s in remarkable condition for being a thirty-five plus year old bike. I love it as it sits…right down to the ol’ original saddle. I truly admire the older Japanese road/touring bikes. As far as components, that batch that is on there is not only quality but very durable and dependable. Beautiful bike! The color brings back fond memories of the Brady’s kitchen. I would not change a thing (except maybe a saddle up-grade) it looks fantastic! I gotta run, the Brady bunch is on.! very nice. is that the original cable routing? Lord, no! I’m always in the mindset that your cables/housing can never be new enough. Padded Saddles are known for quality and comfort, Japanese/Taiwan? 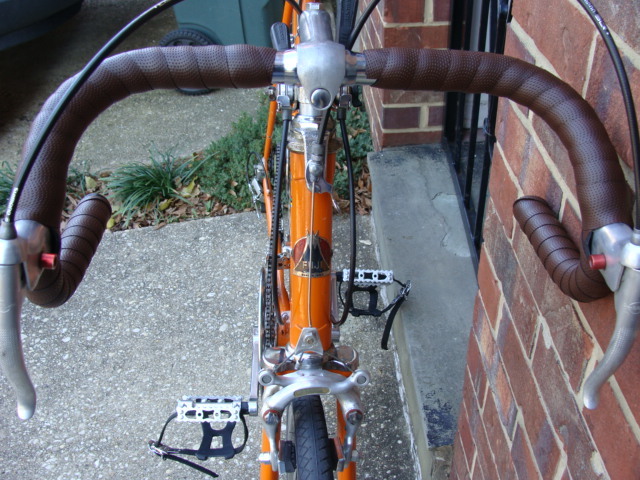 Handlebars: Curvy ‘ram’s horns’ ones. catalog page notes Mikashima #90 as pedals installed on bike, is that where we get MKS pedals or are the two in no way related? I googled it and found out they are one and the same. Agreed, Sheldon Brown’s site is a must read for bike related info. All you cats that wants to learn ya about components, dates of manufacture, origin,etc, should check out http://velobase.com/.. This site can also help in determining the vintage of a rig based on componentry. I believe you will waste many hours there. I am an enabler. you wouldn’t have a catalog page for my 1986 Fuji Palisades–would ya? Also, with almost twice as much votes I think it’s safe to say that your 1986 Team Fuji will win OTSOM….congrats! I wonder if this is a OTSG first, two contenders for OTSOM–a 12 speed vs. a mountain bike? Anyways, good times and clean fun for all! Everything matches up to original minus the changes that I personally made. Also, I have a Nitto stem rather than a Young. It’s almost catalog page identical, and for free…..I’m a happy camper/biker. 80 degrees out here in Tempe, Az…..I bbq and ride bikes nearly year round, ‘though summers can be brutal. 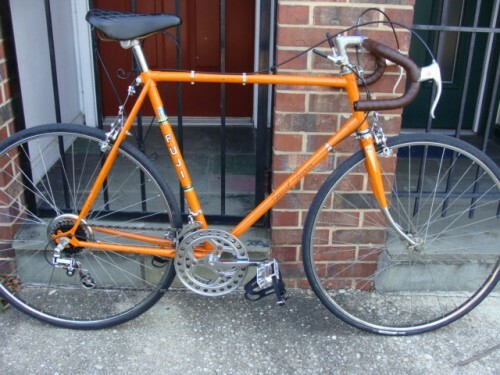 Barely made it to 80 degrees today here in Fla. Beater, I voted for your Chrome Wonder, but that Fuji of Doc’s…wow. That was something. Live Long, Pedal and Prosper! And Ben: your Creamcycle is a Dreamcycle!.